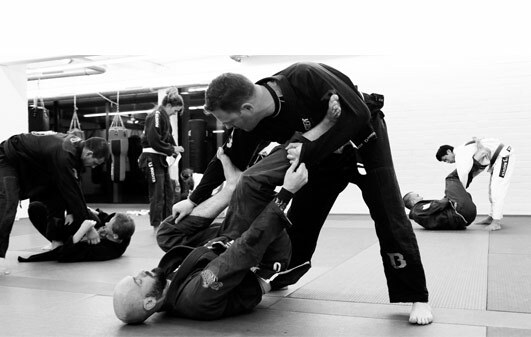 Brazilian Jiu Jitsu is a form of grappling, practiced in a gi (kimono), where you gradually work to improve your position relative to your opponent's. 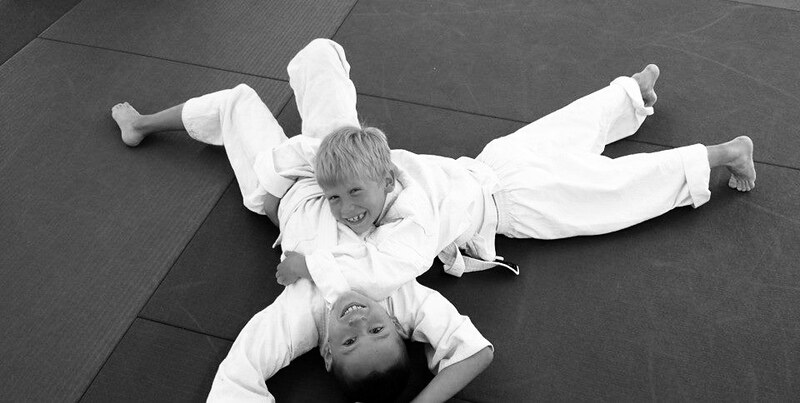 The goal is to reach a position from which you can submit your opponent, using a lock or a choke. Brazilian Jiu Jitsu always emphasizes technique over strenght. By using superior position, posture, pressure, leverage and biomechanical knowledge, strenght and size can be overcome. This allows a lighter and physically weaker person to defend himself against and defeat a physically stronger opponent. The class usually starts with a quick warm-up. The warm-up can consist of a quick repetition of techniques of the previous class or executing basic movements which come back in the techniques later. After the warm-up two to three techniques are shown which usually complement each other or form a sequence. The technical part is closed by a few rounds of positional sparring where you can gradually practice the technique(s) of the day with more resistance and pressure of the opponent. The last 30 to 45 minutes are reserved for rolling. 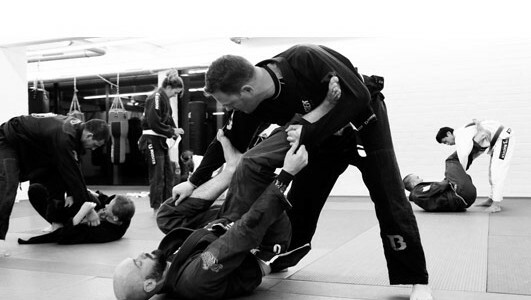 BJJ-classes are open to all levels and ages. The only requirement is a gi (kimono) which can be borrowed for the first classes.